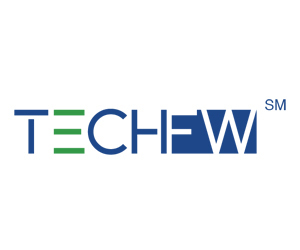 Tech Fort Worth (TFW), a Texas-based non-profit organization that helps local entrepreneurs and startup companies develop and commercialize their products, has just announced that two of their clients have successfully raised a total of $3.2 million from affiliated investors. Encore Vision, whose leading product is Dioptin™, a patented prescription eye drop treatment for presbyopia or age-related farsightedness, was able to raise $1.7 million — much-needed supplemental funding for last year’s successful angel round amounting to $5 million, which funded the launch and completion of necessary clinical trials. A second TFW client and member of the Austin Technology Incubator, Lung Therapeutics, Inc., received a total of $1.5 million from three investors. LTI is a company dedicated to leveraging orphan drugs indicated for lung injuries and disease, and has received more than $12 million from the National Institutes of Health for its lead product for pleural disease, LTI-01, which is a pharmaceutical alternative to surgical pleural cavity draining. The TFW’s Executive Director, Darlene Boudreaux, said that the new investments are the result of their clients’ collaborative work with TFW staff and the Cowtown Angels program. Both Encore Vision and Lung Therapeutics are examples of how TFW can help facilitate emerging companies’ networking efforts by matching the right people with businesses. She concluded by congratulating Encore Vision’s and Lung Therapeutic’s CEOs Bill Burns and Brian Windsor respectively on this milestone.